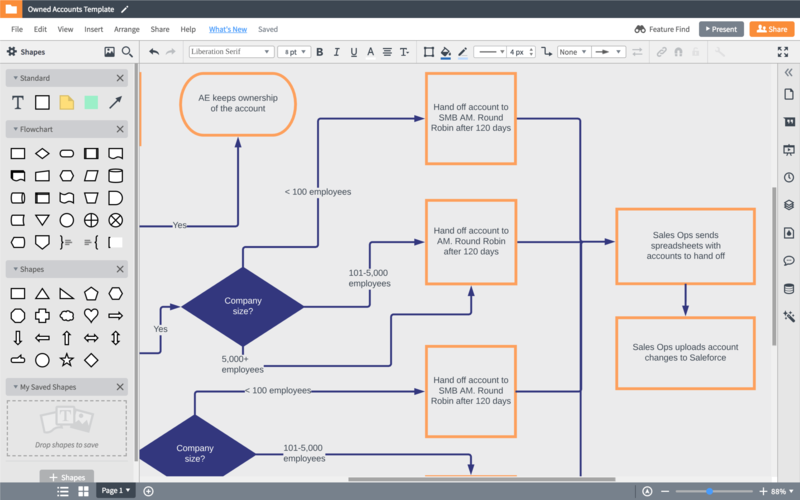 See how the Lucidchart Sales Solution can help you keep your sales org running smoothly. 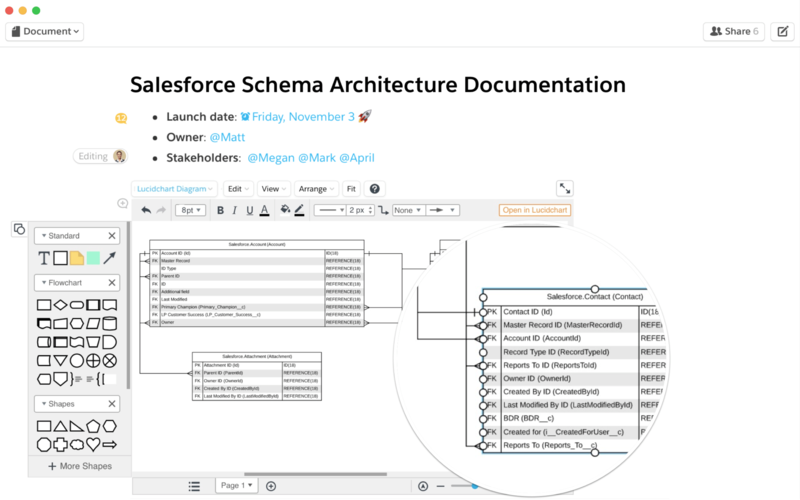 As you program Salesforce to automate processes and become more effective for your sales org, use our Salesforce schema import to automatically visualize every table and relationship as an ERD. Our intuitive platform allows you to easily visualize process handoffs, rules of engagement, best practices for processing and qualifying leads, etc. Better understand your current processes, optimize them to reduce bottlenecks and inefficiencies, and make them available for your sales org so they can begin implementing the changes. The faster you can train new sales reps, the faster they can start closing deals—but it’s easy for sales reps to feel like they’re drowning in processes and value props. 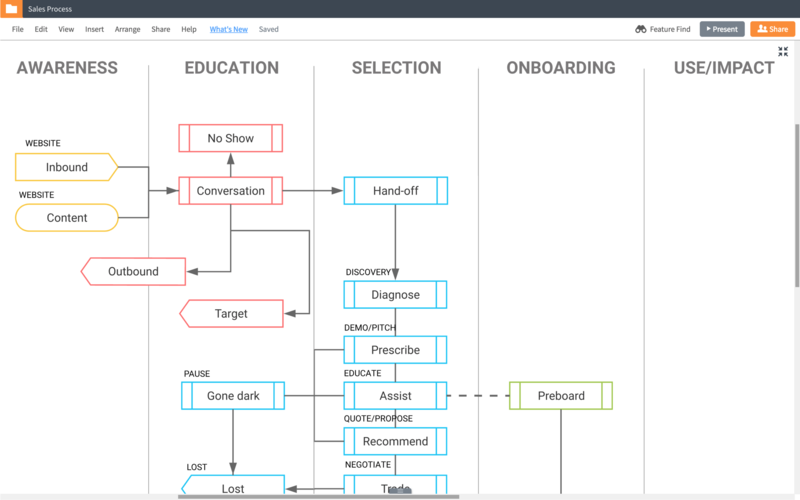 With Lucidchart, you can build easy-to-understand visuals that bring new reps up to speed quickly. Ease the pain of territory realignment and account transitions. In Lucidchart, your sales reps can quickly build account maps that visualize key relationships and map the path to closed-won. All account maps are centrally managed and stored within Salesforce—as soon as they’re added to a new account, sales reps can access this information and review the deal’s history. Create a space where your entire sales org can store account information, proposals, and other documentation to make the sales process smoother and drive transparency. 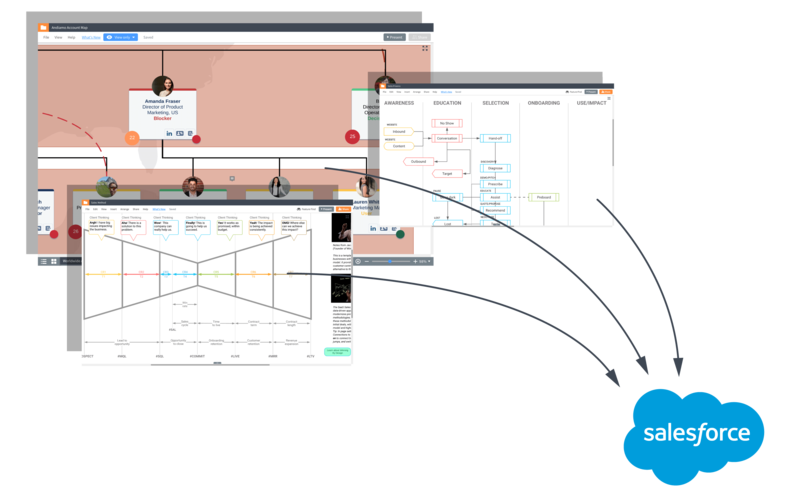 If your organization uses Salesforce, you can easily store all your Lucidchart documents within Salesforce account records. 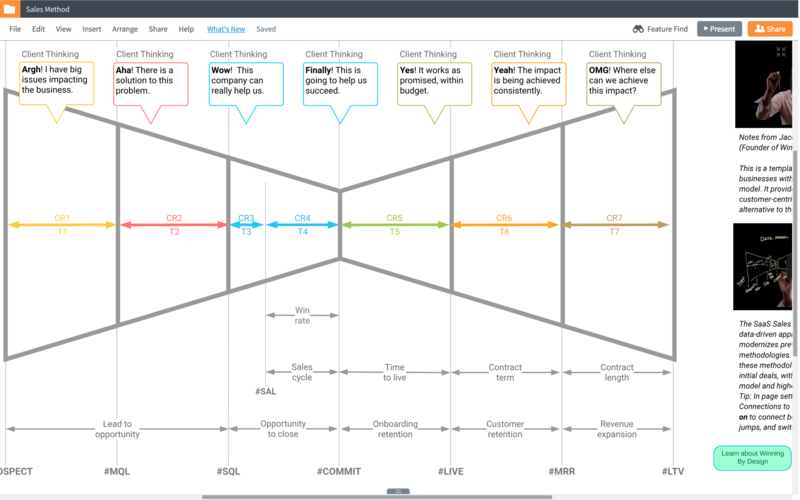 A lot of times we find that by mapping out someone's sales process, we find some inefficiencies, and so we're able to make some recommendations there. More importantly, we can show them exactly where and how our platform and our products will fit into it. Then what sort of results that they'll see.